June Wright's debut novel, Murder in the Telephone Exchange, made quite a splash in 1948, when it was the best-selling mystery in her native Australia. Wright went on to publish several more top-quality mysteries, but when she died in 2012 at the age of 92, her books were largely—unjustly—forgotten. But when we republished Murder in the Telephone Exchange in 2014, Wright was hailed by the Sydney Morning Herald as “our very own Agatha Christie,” and a new generation of readers fell in love with her inimitable blend of intrigue, wit, and psychological suspense. 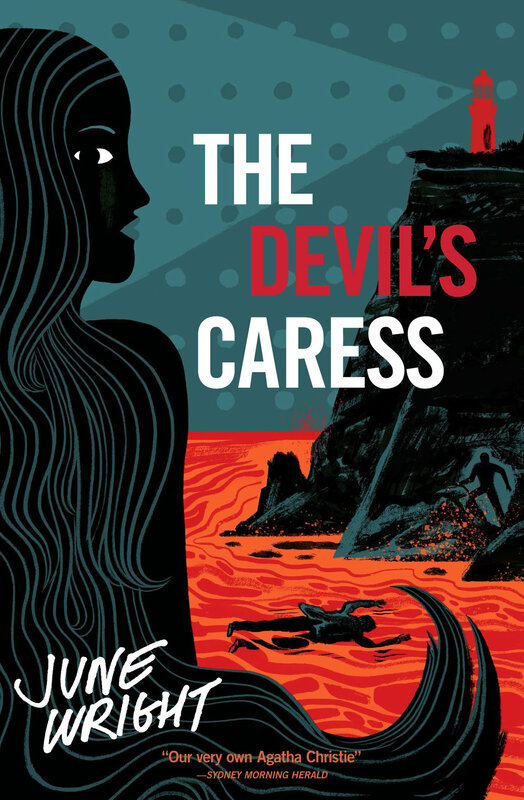 In The Devil’s Caress, first published in 1952, June Wright serves up a classic country-house mystery with an emotional intensity reminiscent of Daphne du Maurier. Overworked young medico Marsh Mowbray has been invited to the weekend home of her revered mentor, Dr. Kate Waring, on the wild southern coast of the Mornington Peninsula outside Melbourne. Marsh hopes to get some much-needed rest, but her stay proves to be anything but relaxing. As storms rage outside, the house on the cliff’s edge seethes with hatred and mistrust. Two suspicious deaths soon follow, and there is no shortage of suspects. “Doubt is the devil’s caress,” one of the characters tells Marsh, as her resolute efforts to get to the bottom of the deaths force her to question everyone’s motives – even those of Dr. Kate.